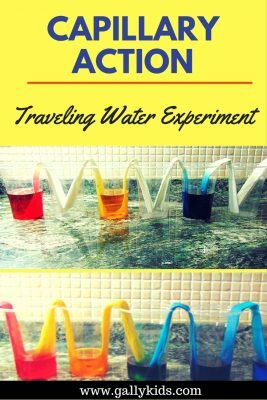 The capillary action experiment using paper towel is one of these educational activities online that always looks so tempting to do at home. 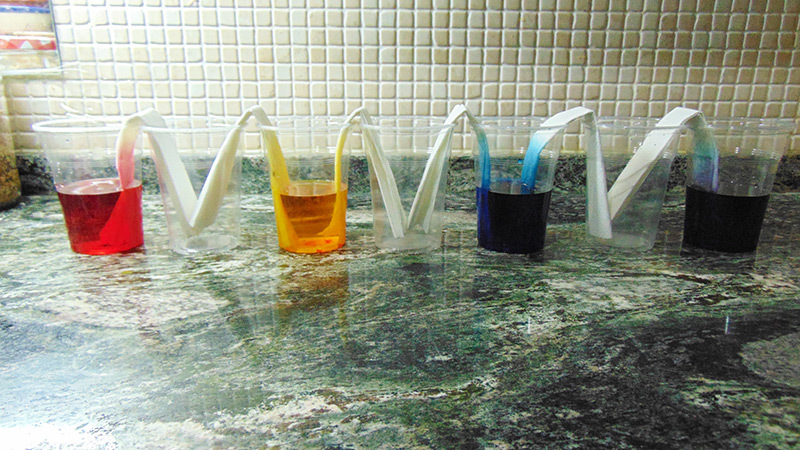 Who doesn’t want all these rainbow-colored paper towels for an experiment? 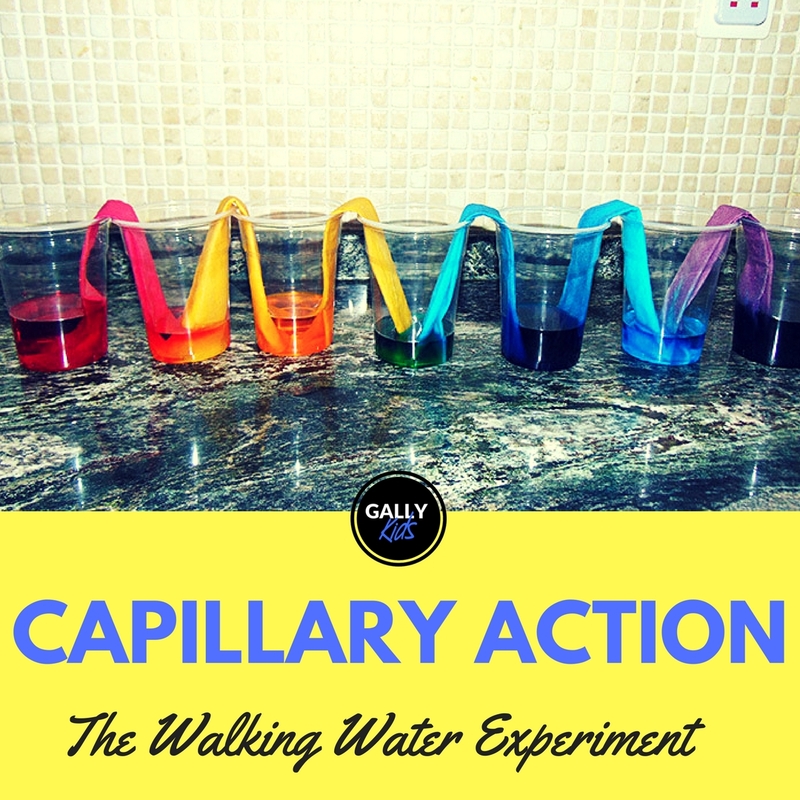 It’s a good one and one where kids can visually see capillary action in action! But be forewarned! 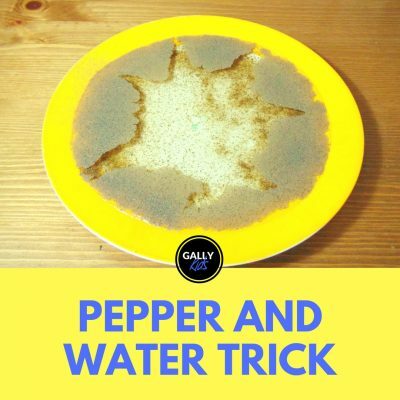 it takes a while for the water to get absorbed and for the paper towels to get that rainbow hue. 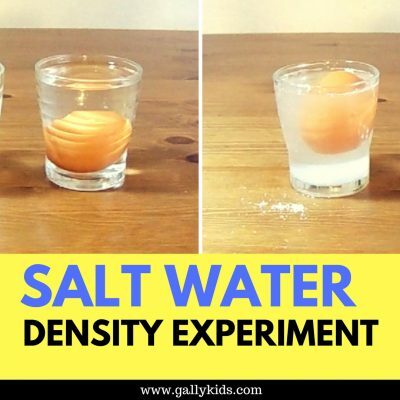 What I’m saying is that if you’re doing this experiment with a very impatient toddler, it’s not the best one to do. 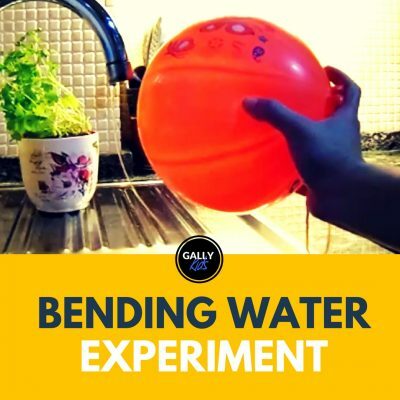 You make this an overnight experiment. Do it just before bed and see what happens the following day. 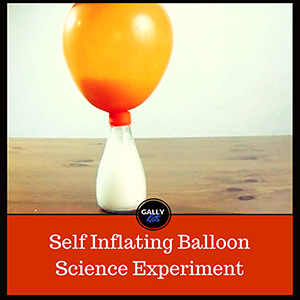 We’ve done this Science experiment before. So my son knew exactly what was going to happen. He just wanted to have a look at what I was doing but didn’t really want to do it himself. What I wanted was to have a rainbow-colored result; thus the red, yellow, blue and violet colors. You don’t have to do this. This is just for aesthetics purposes. You can use any color you want by all means! As I said, it can take a while for the colors to “travel”. Here it is after 30 minutes…. First, arrange the glasses next to each other. Then pour water into the first, 3rd, 5th and 7th glasses. 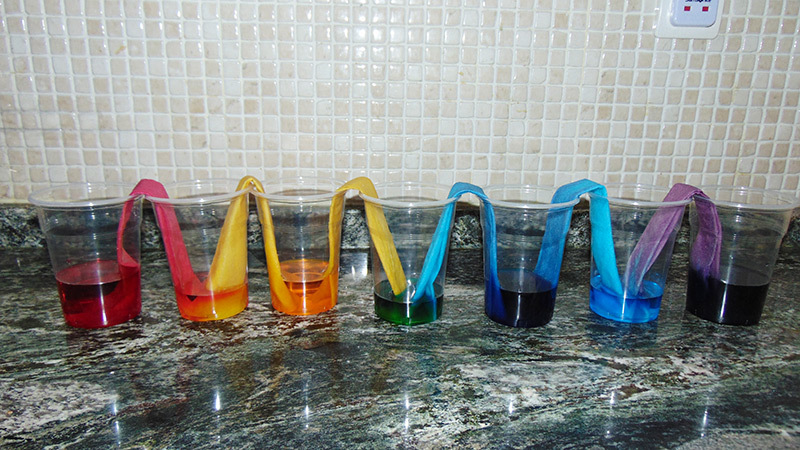 Next, put the red coloring in the first glass, yellow in the 3rd glass, blue in the 5th glass and violet in the 7th glass. After this, fold the paper towels. Put the end of 1 paper towel on the first glass and the other end on the 2nd glass. Put another end of another paper towel on the 2nd glass and another on the 3rd glass. Keep doing this until the last glass. Now all you have to do is wait. 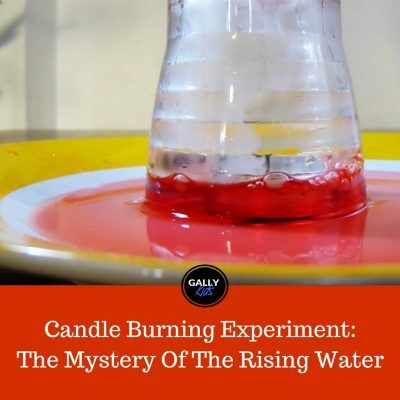 After 30 minutes, some of the water should already be absorbed by the paper towels. It won’t be that bright yet, but it is enough to see something IS happening. If you don’t want to use paper towels, you can use white flowers instead. 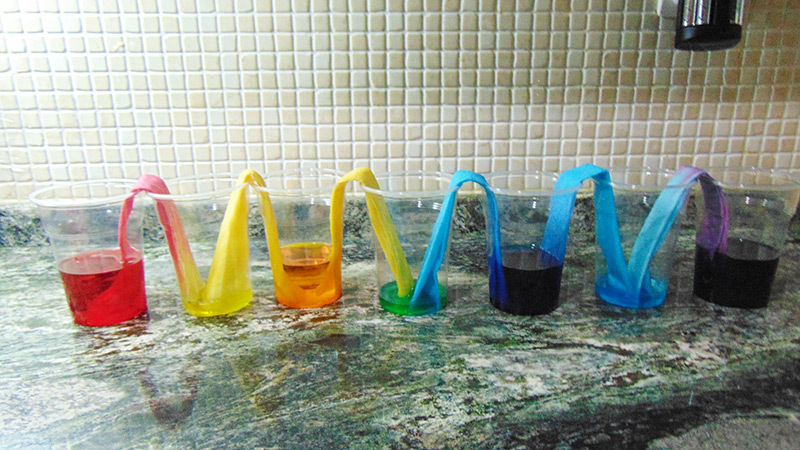 To make the flow of the water faster, you can make a pyramid of the glasses. So you prop the first glass on the top of a pile of books, the 2nd a little bit lower, the 3rd lower than the 2nd and so on. Here’s the video we posted on our Youtube channel of the experiment. 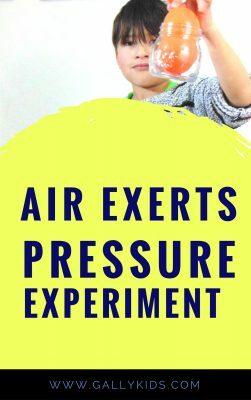 Don’t forget to subscribe to get notified of all the science experiments, toy reviews and kids crafts that we put up every week!